Every year after Thanksgiving, the holiday sale season kicks off with Black Friday and Cyber Monday! These are huge shopping events where merchants offer up to 75% off on all items which prompts long lines of shoppers (and chaos lol) in the US. If you are in the Philippines, you too can enjoy the awesome discounts minus the hassle of camping out, lining up and grabbing items from that 13 year-old that got his hands first on the PS4 that you wanted lol. Since last year, I have had an awesome, hassle-free Black Friday and Cyber Monday shopping experience using GCASH American Express Virtual Pay. I didn't even have to use an actual credit card as GCASH works as an easier to get alternative, not to mention safer for using online since it is a debit card that you load only when you need to. The list of items that you can get is practically limitless but I would advice that you consider the shipping rates for enormous appliances. Since you are doing all the buying at home anyway, take time to compare local prices and compute for the difference. Based on personal experience - games, gadgets, watches and shoes can ordinarily cost up to 50% cheaper than on the local stores. 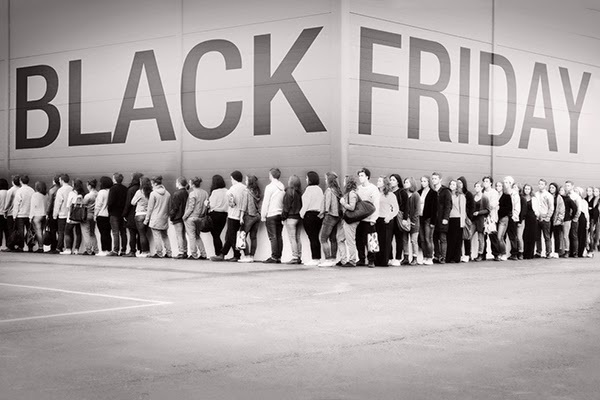 Now imagine how much cheaper things will get on a Black Friday and Cyber Monday! Take this Invicta Watch that I got for my mom as a Christmas present for example. Ordinarily, this costs $495 (P23,265)*. Now, as a featured Black Friday sale item at Amazon, it costs 86% less at $69.99 (P3289.53)*. With taxes and shipping to the Philippines, this costs less than P4500 which is a major grab for any discount shopping junkie! Of course, for those looking for the best gadget deals, here's a list that you that may want to check out. GCASH American Express Virtual Pay allows buyers to provide a personalized US address where the item can be delivered to, granting Filipinos direct access to exclusive US goods. From this address, the item will then be shipped to the buyer's preferred delivery address in the Philippines. Globe customers can also convert their Globe/TM prepaid load to GCASH via the GCASH mobile app by logging in to their GCash account, tapping Cash-in, keying in the desired amount to cash-in and confirming the transaction. Globe customers must have sufficient balance to cover for the GCash load conversion plus a 15% additional service fee. Aside from getting easy access to Black Friday Sale, GCASH American Express Virtual Pay also enables users to shop at the iTunes Store and choose from over 43 million songs, 85,000 movies, and more than 300,000 TV shows. *GCASH exchange rate used $1=P47.